hey! i’m still alive! LOL! but quite busy that i had to pause blogging (again, for the nth time). but will be back soonest! I’m a total sucker for Rom-Com (romance comedies). The mere fact that love and laughter can actually work in a movie works just fine for me. plus points if the movie gives the lovey warm fuzzy feeling inside of certain scenes and makes you laugh at the same time. One of the movies that earned a spot on my list would be Love, Actually. whoever thought of a movie where several characters are connected in one story is brilliant. each character has a story of it’s own, but overall, it blends into this one great movie. 2. majority of the characters are my favorites. 3. british humor is different and in its own element. 5. and how each character struggles with the actual idea of LOVE. so yeah, count me in as one of the romantic saps in the world. tough cookie, but soft and gooey on the inside. how about you, what’s your favorite rom-com movie? but i’ll be back soon with lots of blog posts! promise! i’ve been continuing my week 2 challenge, drinking more fluids for week 3 & 4.
and, well, i still can’t come up with a decent challenging task for the coming week. no, i’m still not ready to wear the dress, yet! Hubby promised my maternal grandmother that one day, he will marry me in church. Hubby knows that my lola, being a religious person, would appreciate that we seal the deal on top of our civil wedding with a church wedding. sadly, lola wasn’t able to witness this event. but at least my parents were there to bask in the glow and happiness of seeing their firstborn, walking down the aisle in a dress and escorting her to the one she’ll be with forever. 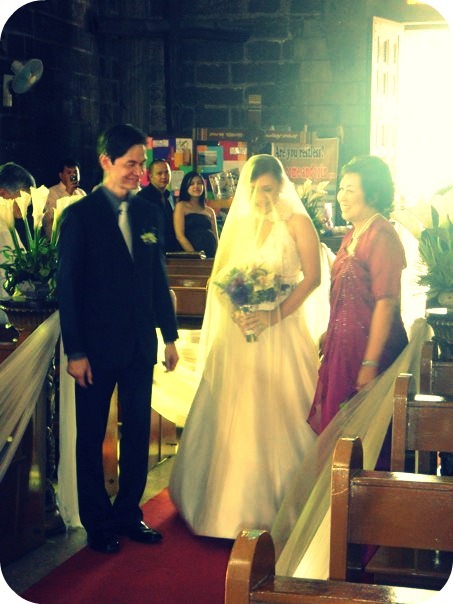 but i know, she was smiling proudly with lolo for a promise fulfilled. we’re also looking for resorts that include meals already aside from accommodations. i’ve emailed a few options to hubby since it’s up to him to decide (budget wise). this summer beach trip is a promise to the kids since they got top marks this school year. a great reward for them. and of course, a first time for them to go to the beach! and an excuse for myself to finally enjoy the sun. sand and waves after a long time. crossing my fingers and toes for this!